Born in 1986, the Yonex French Open became in 2007 one of the 12 most prestigious tournaments of the international World Tour : the HSBC BWF World Tour. Every year, the best Badminton players gather in Paris for a week to compete in the legendary Pierre de Coubertin stadium on the 5 different draws (men's single, women's single, men's double, women's double, mixed double). Yonex is our titre sponsor since 2009. Now part of the HSBC BWF World Tour, the Yonex French Open has become one of the 8th biggest tournaments in the world. A spectacular show for a spectacular event ! At the center of the event : the stars. An there will be plenty of them as the new international rules assure the TOP 15 simple players and TOP 10 double players. 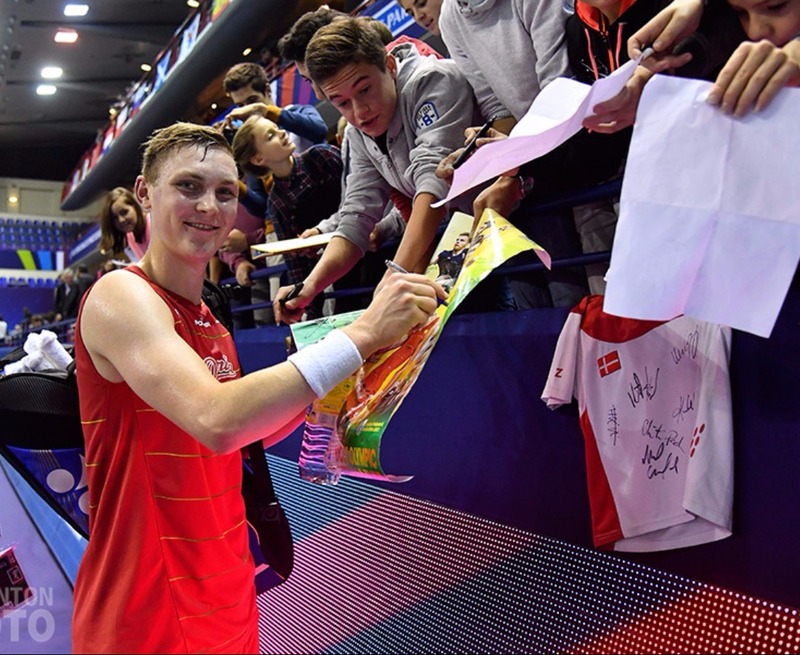 The very best of the badminton world will be in Paris in october... so should you ! To present best their performances, a new scenography will cover Coubertin in darkness, to show only the courts, nothing more. And finally, if you are tired of watching badminton, you will be able to join our new fan zone, bigger, with more activities about your favorite sport. And if you just want to rest, that will be possible as well.
" In 2017, 232 players from 24 countries joined the competition in Pierre de Coubertin Stadium "
The highest number of spectators was reached in 2015 when more than 16 000 visitors admired the world best players. The 2017 edition will be the last of the 2014-2017 term. From 2018, the Yonex French Open will increase in quality and will join the 9 greatest tournaments in the world as a level 3 member, along China, Denmark, Japan and Malaisia. This year, the Yonex French Open will take place form october 23 to 28 at Pierre de Courbertin Stadium. Make sure you will be available, we'll be waiting for you with a brand new tournament !